The museum field encompasses an enormous range of institutions, from flagship encyclopedic institutions to small community-run museums, science centers to local historical societies. While this rich diversity is central to a healthy cultural sector, it can also make it difficult to communicate and learn from the ways in which museums are constantly innovating and finding new ways of enriching lives and communities. How can the ideas and approaches driving innovative work in museums across spectra of geography, subject area, and size be publicized and allowed to cross-pollinate? Plinth.co a volunteer-run digital magazine launched last year, aims to bring together these wide-ranging elements by highlighting the innovative work taking place at a diversity of museums, beyond the major arts institutions that are often prioritized in dialogue on the museum field. Plinth’s articles, which are produced by a mix of regular contributors and guest contributors writing from across the field, put a spotlight on specific programs, initiatives, and strategies occurring in a range of museums and cultural organizations. The articles share not just the context and details of these projects, but also the perspectives of the people behind them. Plinth’s writers have covered everything from public programming at a popular museum in tiny Eldon, Iowa, to a mobile museum that brings African American history to communities throughout the United States, and articles on contemporary art exhibition design live next to pieces on science programming on Plinth’s website. By sharing such a range of projects and the insights of the people behind them, Plinth aims to simultaneously provide a platform for communicating museums’ many roles in contemporary communities and to allow practitioners in the field to share ideas and draw from work being done elsewhere, fostering intersections and connections that might otherwise escape notice. Figure 2: Attendees at Expanding a Shared Vision, Yale University, 2014. Via Plinth. Central to this aim is Plinth’s focus on highlighting the work of a broad network of cultural organizations and pointing to links between seemingly disparate elements of the cultural sector, from commercial art fairs to local preservation efforts. 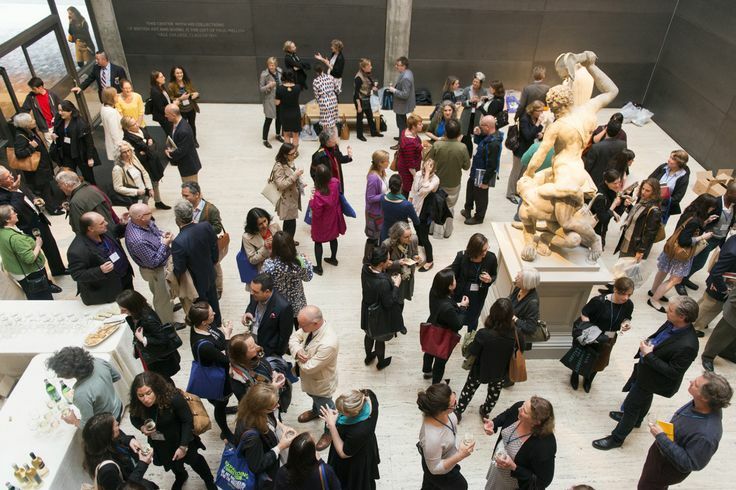 This networked strategy, which brings small organizations into contact with wider dialogue, also extends to the magazine’s emphasis on bringing new voices into discussions around museums and cultural organizations. Plinth’s focus on forging connections has played out in a range of ways, from putting a spotlight on a small but deeply impactful program for people with memory loss at a time when it needed funding to serving as the catalyst for two neighboring museums in Washington, D.C. to meet and swap notes on their innovative student programs. The magazine is continuing this push as it expands on its recently-adopted quarterly format, with plans for more in-depth features and a forum series that will bring together a hugely diverse group of contributors working in museums for debate and discussion on big topics in the field. The goal is that this constant remixing of voices and ideas that may not normally intersect will be generative for contributors, readers, and the wider communities in which museums work. 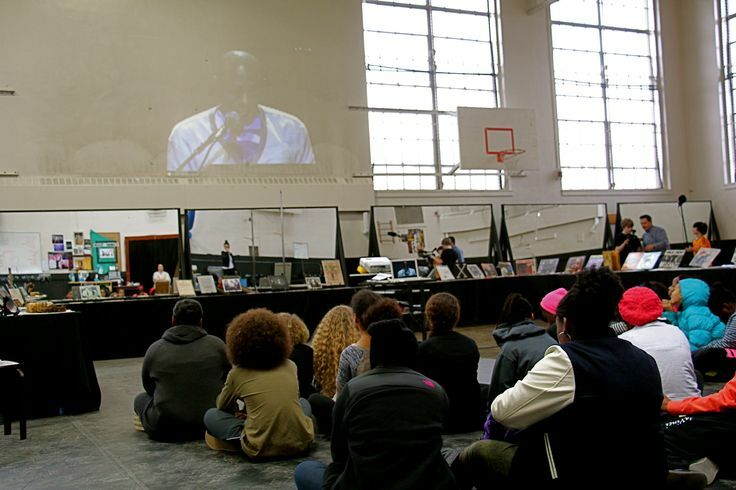 Especially as museums face tight budgets and shifting 21st-century contexts, Plinth aims to provide a space for communicating the incredible diversity of forward- thinking projects that museums produce. These efforts can so often remain behind the scenes, and particularly for smaller organizations or organizations located outside of major urban cultural centers, may seem to lack the “glamour” or immediacy that makes headlines. By highlighting museum professionals, initiatives, and projects that bring forth innovative ideas and benefit the diverse communities and audiences that cultural organizations serve, Plinth aims to broaden dialogue around museums’ roles and to communicate the power of a diverse cultural ecosystem.